The Mammoth Lid-Lock 6 mm x 1.65 m is part of the latest Mammoth collection. 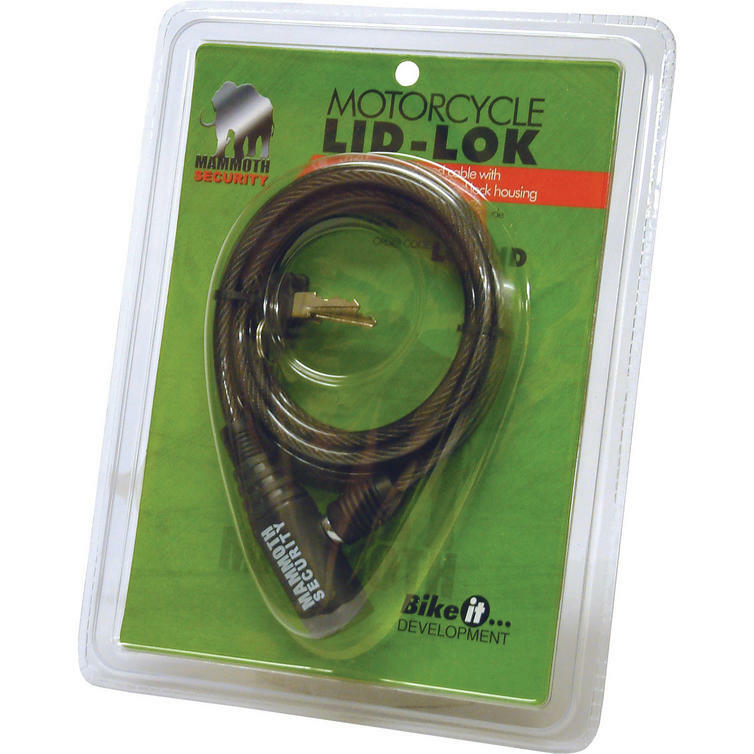 Lightweight yet strong cable lock perfect for securing helmets or bags to your bike should you need to leave them unattended. 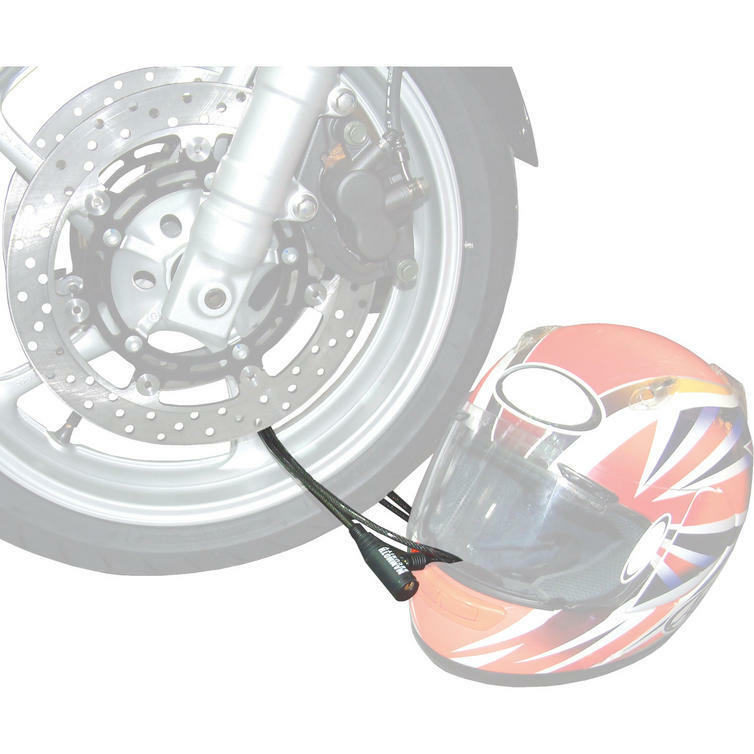 Long thin cable makes feeding the lock through vent holes or handles simple and the self-coiling design lets you stow the lock away in seconds when you have finished with it. 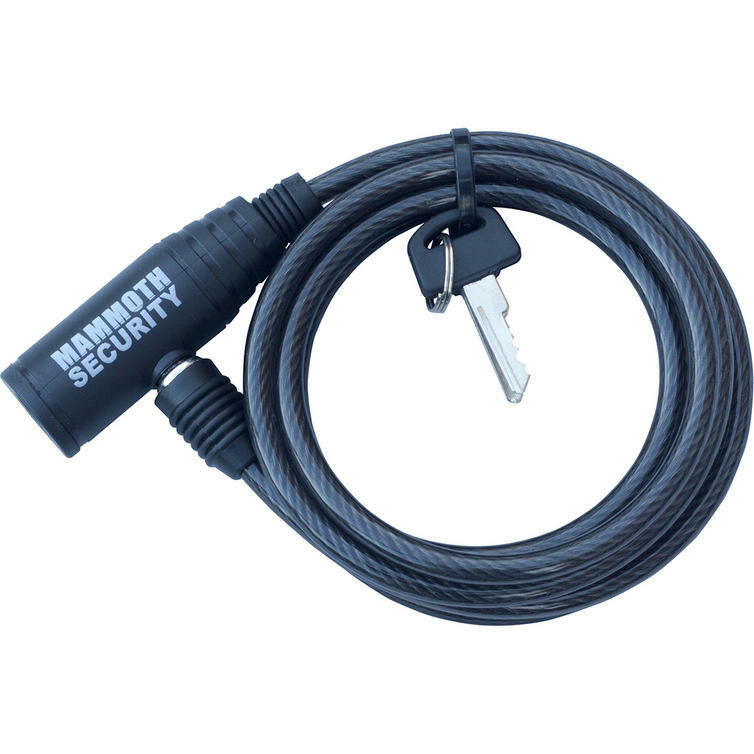 Woven steel cable is 1.65m long making it easy to lock items to your bike and the protective coating and reinforced lock head add to the security features. 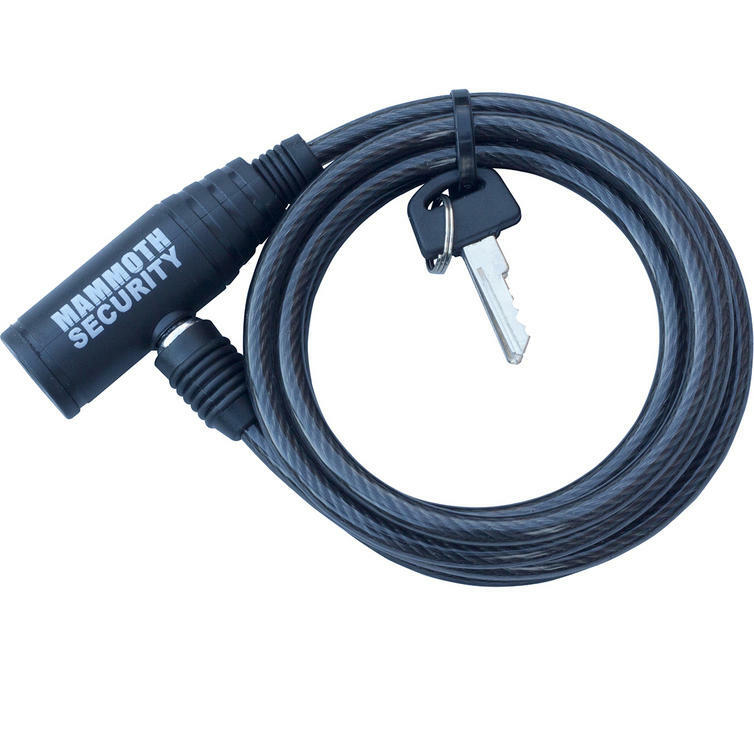 Woven steel cable is 1.65 m long making it easy to lock items to your bike and the protective coating and reinforced lock head add to the security features. View all Mammoth Lid Locks. View all Chains Cables U-Locks.